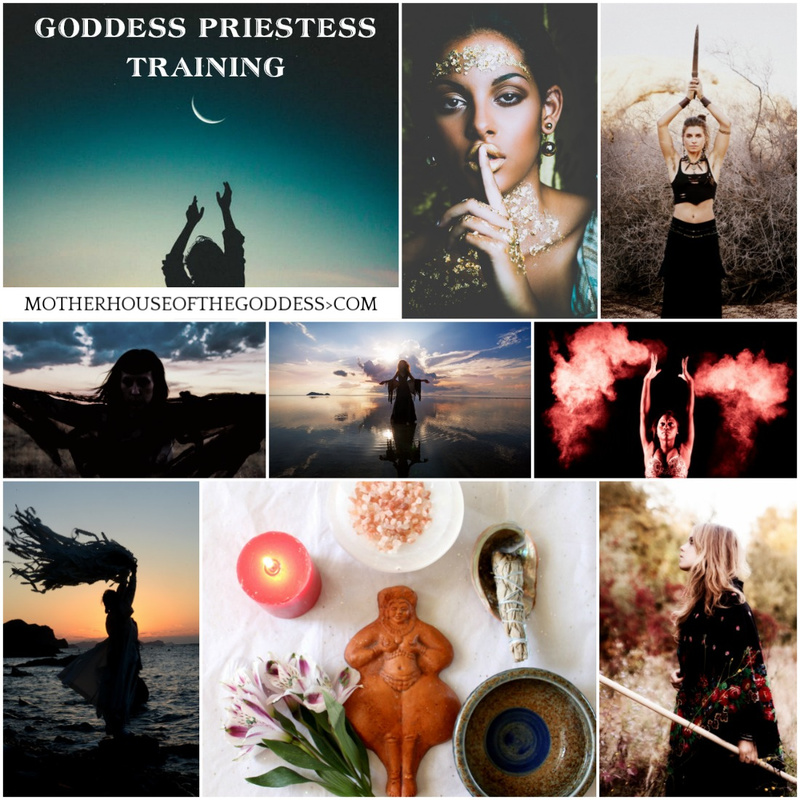 A Priestess can be many things … Witch, Shaman, Yogini, Medicine Keeper, Soothsayer, Elder, Prophetess, Devotee, Mystic, Wise Woman, but in all things she is a guide, a catalyst. a vessel of ancient myths and stories, and a creatrix of modern sacred practices. Stepping onto the path of Priestess places you as an empowered participant at the center of life. You make a commitment to your Self … to Goddess … to be a mediator of the ebbs and flows of life and the rhythms of the Goddess year. Are you ready to evolve your spiritual practice? To fully embrace the call of Goddess whispering through every layer of your being? Have you wondered what devotion and service to Goddess looks like in the modern world? How to craft mystical relationships between the mundane and the sacred? Do you feel ready to gather women who are interested in sisterhood and Goddess? Have you been considering a more active community role and spiritual leadership? Is Goddess calling and you just weren’t sure how to answer? Let’s answer that call together. There are several ways that we can work together.